Fig. 1. 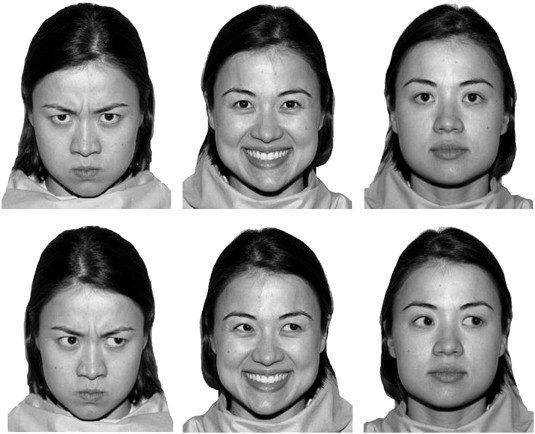 Study images: direct- and averted-gaze study images for each facial emotion (from left to right: angry, happy, and neutral).